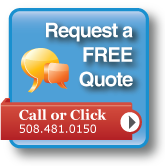 As a Insulated Vinyl Siding Contractor Installer serving Massachusetts, we are proud to offer Craneboard Solid Core Siding by Crane which has an exclusive all-in-one siding and insulation system with incredible energy saving features. The foam have 200% better bond strength and it’s shaped to fit precisely behind the vinyl siding or vinyl vertical siding providing a continuous solid backing that helps increase vinyl siding resistance up to 64% more against impacts that might otherwise cause cracks or dents and with panels up to 18” high will bridge wall irregularities; and interlocks tightly at seams to create a straight, solid finished wall appearance without the waviness sometimes associated with vinyl siding. *The denser SOLID CORE foam has a 53% higher flexural strength compared to standard insulated siding, which means smoother, straighter walls. * The tensile strength of SOLID CORE® SIDING is 40% higher than standard insulated siding, which gives it a more durable, just-installed appearance. Thermal energy tests demonstrate the insulating value of SOLID CORE.